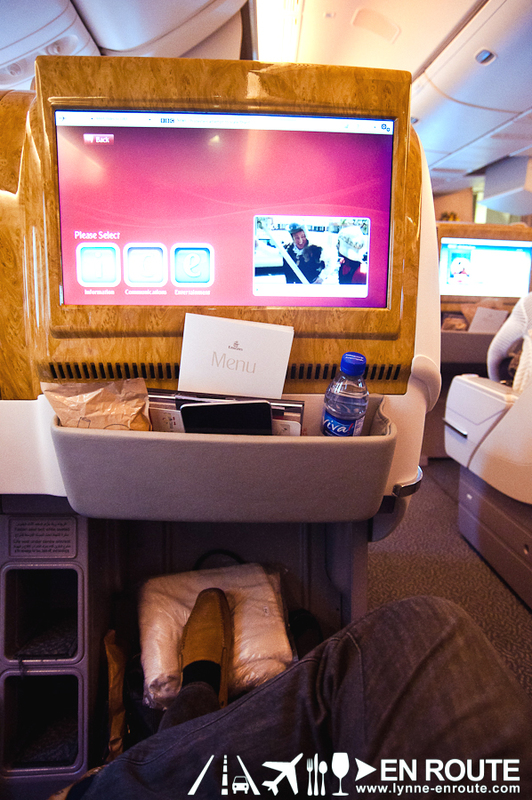 Ok, maybe it is a far stretch to say you would not want the plane trip to end (After all, landing in a new place will always be more exciting), but the total experience of riding one of Emirates’ Business Class flights is one of the best airline stories always worth sharing, and you may not want to fly any other way. This came as a pleasant surprise during the London trip where the upgrade to Business Class was all by chance. Yes. 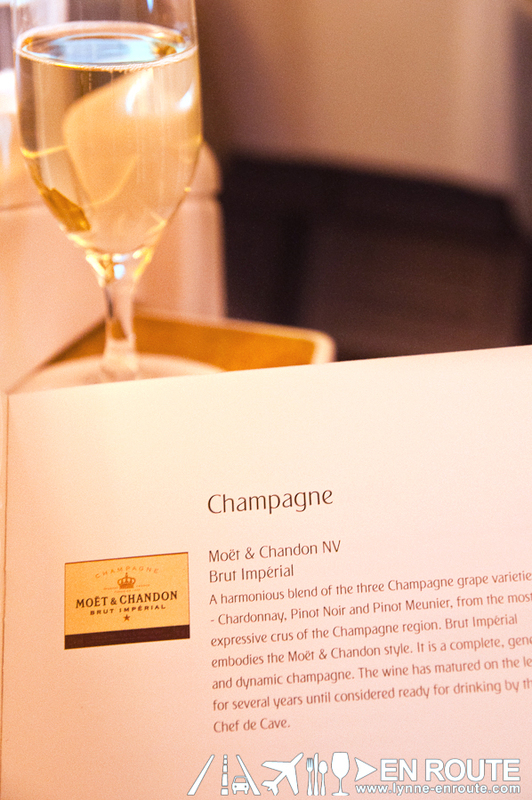 They start you off with a glass of champagne (for this flight, It’s Moet & Chandon Brut Imperial), and greet you by name personally. The dedication and training to know their business class clients (even if it is your very first time to be in an Emirates Business Class), just before the flight shows the level of discipline and orientation to customer satisfaction the team of Emirates goes through. 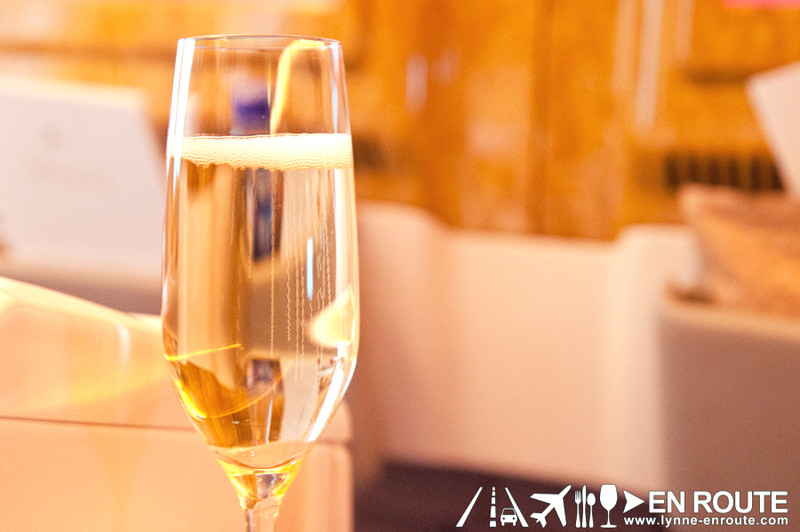 They hand you that bubbling glass as if this experience will be a celebration, and it truly is. So sit back, relax, and enjoy the flight. Any business class flight will have better legroom relative to their economy class (although bunk seats might provide the best value), but there are some from legacy carriers where their business class seats don’t stretch all the way that you can recline the seats totally to turn it into a bed. 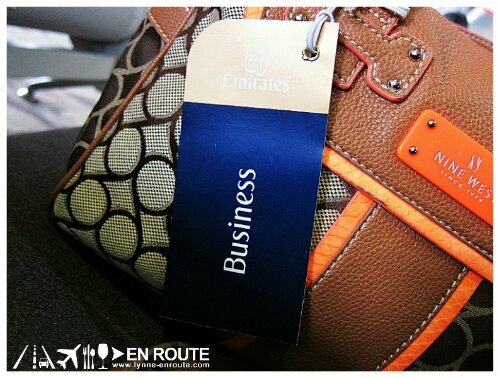 Emirates Business Class rests you comfortably in your seat and you can recline it all the way if you need to do so. And there are a lot of storage for all your knick-knacks, too! 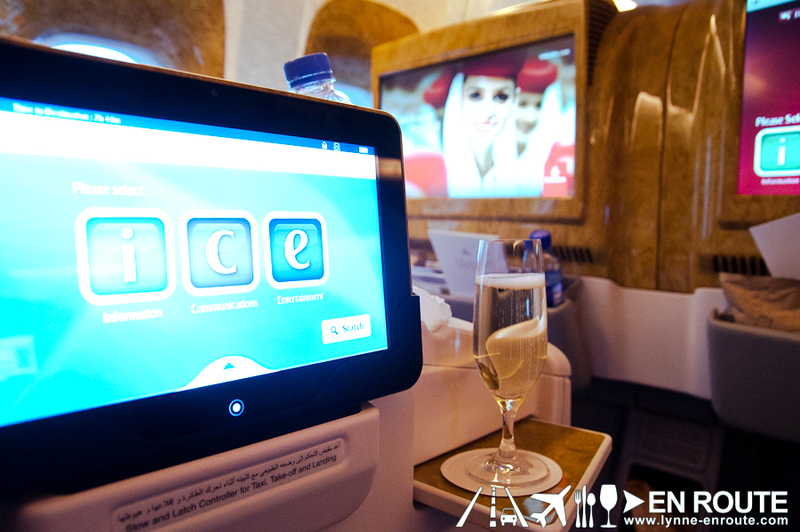 You are now looking at what may be Emirates’ trump card: I.C.E. (Information, Communication, Entertainment). This is probably the most extensive interactive system for passengers in any airline. You get news and information from your place of origin, to the destination, and pretty much around the world. You even get to listen to some interviews and anecdotes of the executives of Emirates Airlines on the philosophies driving their pursuit and what they have planned for their passengers in the future. Communication? You can use provided communication phones, or on some selected flights, use your cellular phone if you need to call. Business doesn’t sleep, after all. But the most captivating would be the Entertainment component, where there is an extensive array of movies from all countries. You are even assured of the latest releases once the movies becomes available for personal video viewing, and at superb video and audio quality. TV shows abound, too! Pictured here is U.K.’s world famous Top Gear. And yes, you control it all wirelessly through a mobile tablet that doubles as a reading device in case you wish to read some news articles. Your eyes will beam. You can have as much of the bubbly booze as responsibly possible. They also have a fine selection of wines and whiskies if that is what you please. Glenfiddich 15 years? 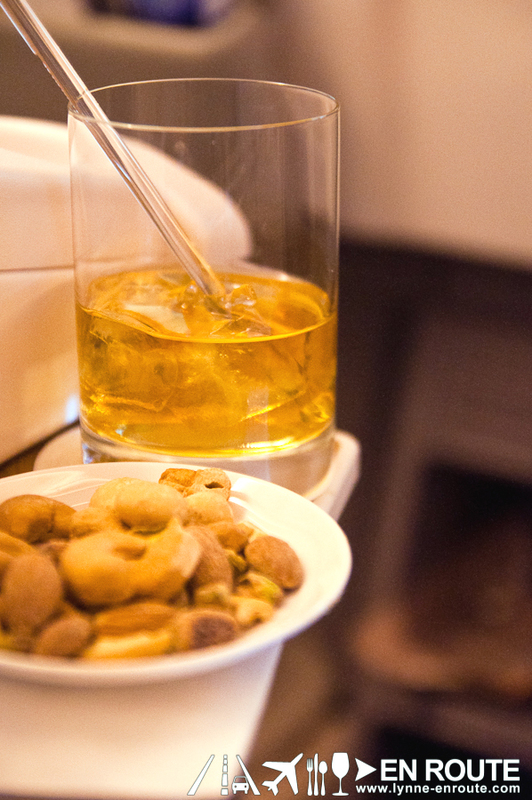 It’s all yours with complimentary salted snacks for every glass. 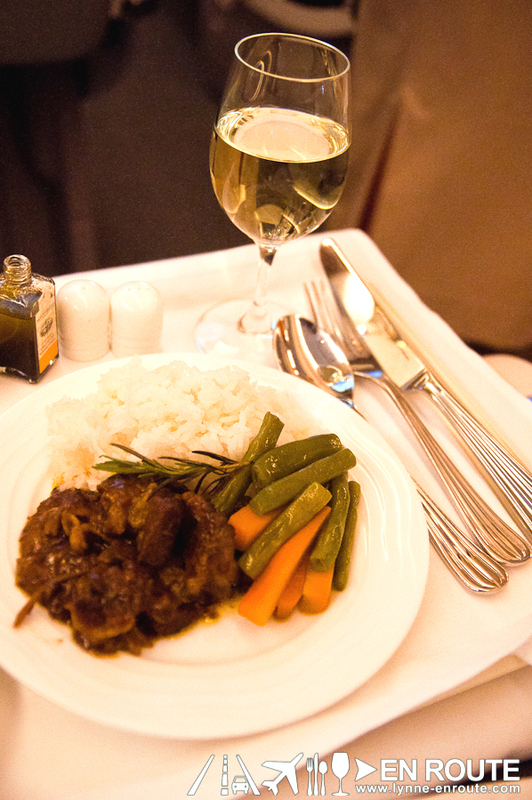 But don’t spoil your appetite, because Emirate’s award-winning in-flight meals will leave you satisfied. 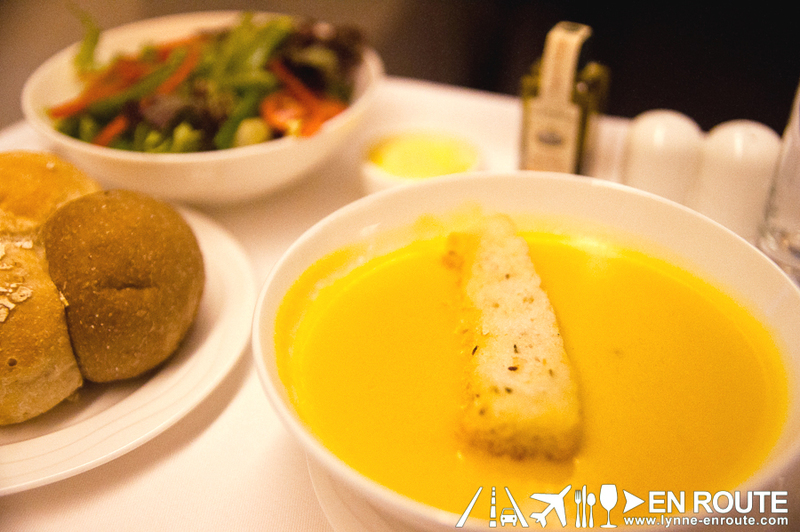 While their Economy Class meals are quite a varied selection already as it is, their Business Class meals just take it up a notch in terms of presentation, quality, and overall dining experience. We are talking of fine cutlery and your choice of wine from their in-flight cellar (award-winning on its own as well!) to complement an equally extensive selection of entrees from cuisines all around the world. 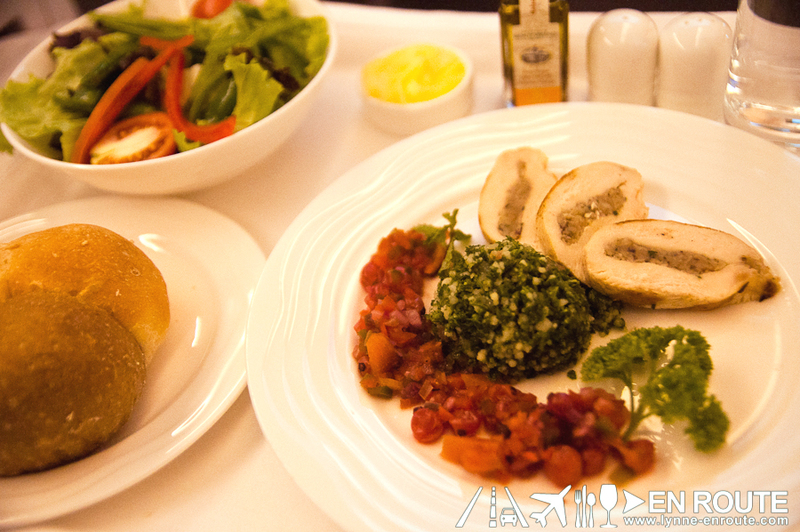 And when you measure the taste of their food with other airline meals, they are astounding. There was the golden age of air travel, and somewhere along the way, all the charm was lost in search of profit, or at the very least, even keeping the airlines alive. Somehow, Emirates aims to bring this back, and the taste of their Business Class feels like a step back in time to what airline service should really be in the future. Not only does it look fabulous, the experience is, too!